Our Bachelor of Science (Osteopathy), plus Master of Health Science (Osteopathy) lead to professional registration as an osteopath. You’ll gain work experience through extensive clinical practice. This perfect mix of scientific study and hands-on practice will have you confident and job-ready following our masters. VU offers one of only three accredited programs in Australia. VU's hands-on learning approach and extensive clinical placements are held in high regard by industry. Treating patients at our Osteopathy Clinics at City Flinders and Werribee campuses, as well as external community clinical engagements, ensures you have a diverse clinical experience. Our osteopathy teaching clinics operates 47 weeks of the year. As part of our masters program, you’ll attend clinical sessions on a rotational basis. You’ll gain real-world experience working with paying patients. These clinics also run outside of semester hours, to maintain a public service and provide continuity of patient care. When you study osteopathy at VU, you’ll be part of a bigger Health and Biomedicine college. This college supports its students with international industry contacts, world-class research centres, and a Dean’s lecture series by leaders in the health profession. Osteopathy students study at our City Flinders Lane campus. The convenient location makes studying easier, and the surrounding laneways, cafes and restaurants add to its appeal. The Bachelor of Science (Osteopathy) offers a mix of scientific study and hands-on practice. You'll be qualified for a career as a practising osteopath after completing both this degree and our Master of Health Science (Osteopathy). For further information about registration requirements, visit the Australian Health Practitioner Regulation Agency. 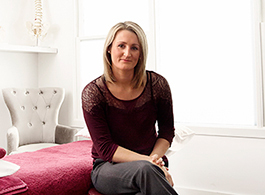 The average salary of osteopaths in Australia is around A$70,000 (PayScale). This course, in combination with the Master of Health Science (Osteopathy), is one of only three osteopathy dual-qualification programs accredited by the Australasian Osteopathic Accreditation Council (AOAC). To attain the Bachelor of Science (Osteopathy), students will be required to complete 288 credit points of Core studies. 11. Engage in intra- and inter-professional education and peer review to ensure optimal patient management. A study score of at least 20 in one of Biology, Chemistry, any Mathematics or Physics. A study score of 30 in Chemistry, any English or any Mathematics equals 5 aggregate points per study. A study score of 25 in Biology equals 5 aggregate points. Overall maximum of 20 points. Completion of an Australian Advanced Diploma or Diploma (or equivalent) in Health Sciences or similar. Browse our other Osteopathy courses or send us an enquiry to be notified of updates relating to this course.